Home Loans are known as Mortgage Loans. These loans are the most important loan among the others because you probably will pay it for years. Probably, it is the biggest loan you can take in your life. Due to its amount it is not always easy to get approve and the interest rates are changing day by day and lender to lender. Before you get loan to buy your dream house, you should be very careful. In this article, we will explain some lenders according to your need and interest. As we can get it from its name, it is a quick lender due to their online service. And in 2016, they were the second bank to give most credit to borrowers with the number of 450.000 borrowers around the world. They do not need any paper work or something like that. The only thing you need to do apply with your information online and if you connect application to your bank account; you can get it online without going the bank. SoFi stands for Social Finance. They started lending student loans but then in a short time they took part in personal loans like mortgage. SoFi has fixed loans for home loans. Payment terms are 15 years or 30 years. You can apply online and after getting a pre-approval, you can go and finish the paper work. When paper work is done, it takes like 30 days to get your loan. SoFi is only interested in your credit score and the biggest advantage is they do not charge you with origination fee and that’s why they have lower interest rates. IoanDepot is established mostly to refinance your mortgage. Up to now, they have refinanced over 70 billion $ home loans to save people from short term payments and higher interest rates. 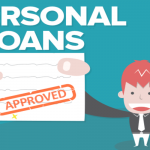 Because of that, you do not put pressure on you to get a loan, for your personal needs and borrowing situations. We can say IoanDepot is one the best refinancing lender. If you have bad credit score, the best option you can get New American Funding. Most of the lenders use online application. With this way, your application is approved or denied with the computer algorithms whether you are too risky or enough to get a home loan. However, New American Funding does this approval with traditional ways. So if you have 500-550 credit score, they can force themselves to help you but if have 580 or higher credit score, you can get your loan easily after paper works. But the lower credit score you have the higher interest rates you get. These are three examples of home loans lenders but you should remember that there are lots of mortgage lenders around the world. While deciding, you have to remember that home loans are the biggest loan you take in your life because you will pay it for years. You have to calculate it and decide carefully. Our suggestion is search all over the internet and go to banks and talk the details face to face and match them according to payment options.